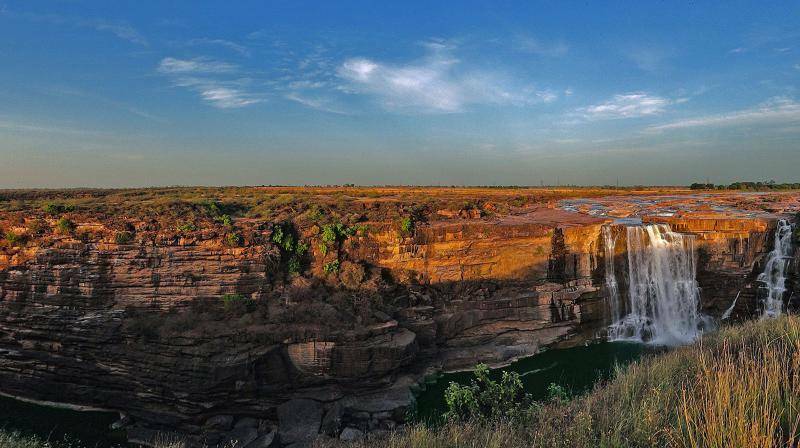 Purwa Falls is located near Rewa, Madhya Pradesh. It is a vertical fall of 70 metres when River Tons comes down through Rewa Plateau. For the geography enthusiasts, it is a beautiful example of nick point by rejuvenation. Purwa Falls has religious significance according to Hindu mythology as it is close to many places associated to the Epic Ramayana. It is an awe inspiring picnic spot and is also near to the holy pilgrimage of Basawan Mana. However, many mishaps have happened here. Due to left wing extremism in the forests in the nearby area, this place is not very safe.